Nestled below the magnificent Atlas Mountains, Morocco's cultural hub offers sun-baked historical sites drenched in Berber tradition and ornate Islamic art. A feast for all the senses, here are the top attractions to visit for a taste of Marrakech. 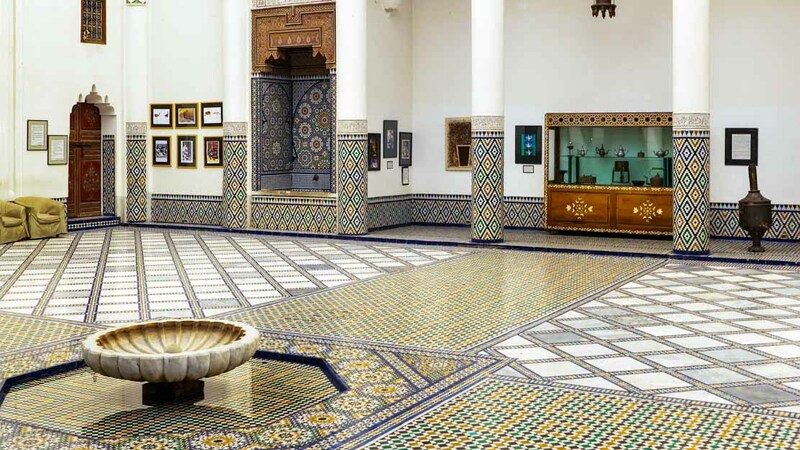 Housed in the old Dar Menebhi Palace, the Marrakech Museum displays Moroccan art from the ancient to the modern, as well as historic books, coins, and pottery from the region. 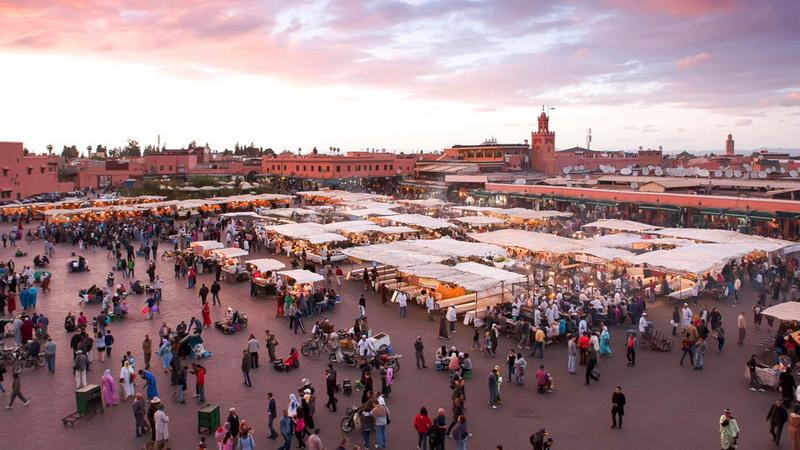 Barter for souvenirs, food, and clothing at the vast historic marketplace Jemaa el Fnaa, then venture further into the medina (Old Town) to explore its labyrinth of traditional Souks! Bahia means brilliance. Built for a former slave who became a favorite of the Sultan, it was intended to be the most dazzling palace of its time! 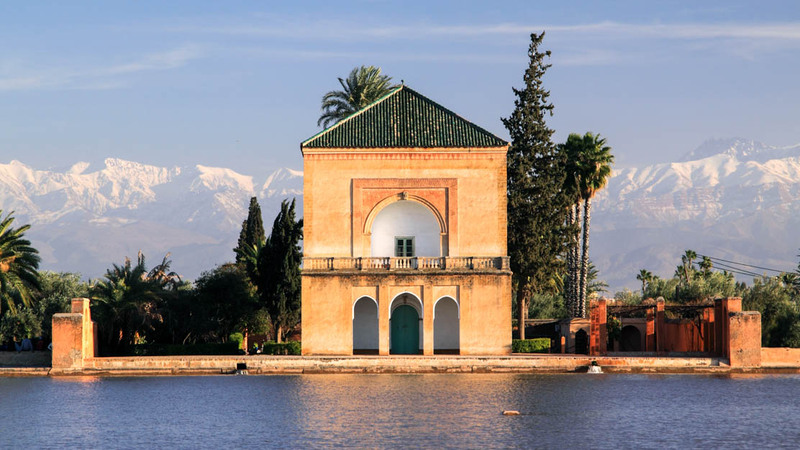 With the Atlas mountains providing a spectacular backdrop, the peaceful Menara Gardens is a favorite for both locals and visitors looking to escape the commotion of the city. 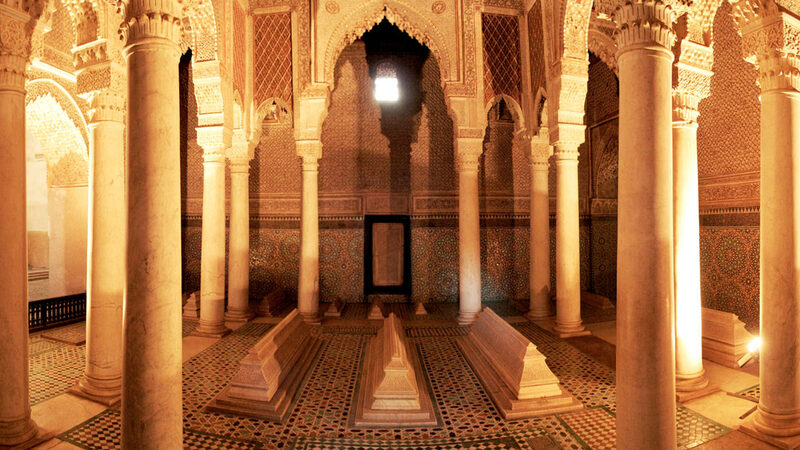 The Saadian Tombs, an immense 16th-century burial ground, are the final resting place for 66 members of the Saadian dynasty that ruled Marrakech from 1524 to 1668. 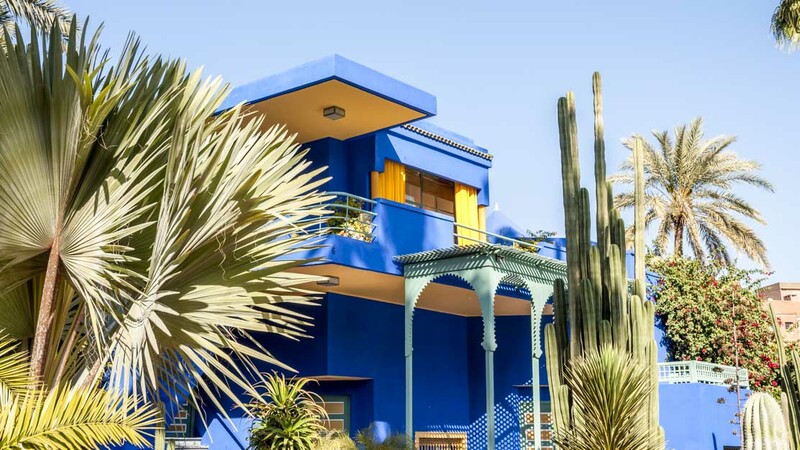 These exquisite tropical gardens are the work of French painter Jacques Majorelle, hence the vibrant "Majorelle blue" juxtaposed against the natural greenery! 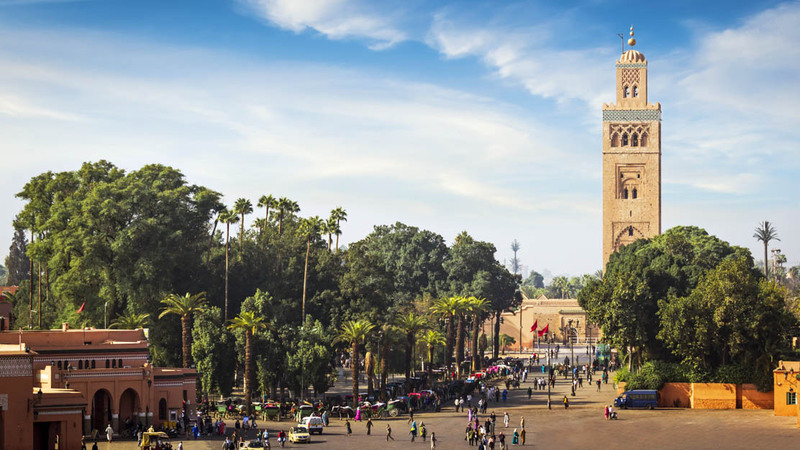 With its 70-meter tall minaret visible for miles around, the Koutoubia Mosque is Marrakech's most famous landmark. If visiting, bear in mind that only Muslims are allowed in! 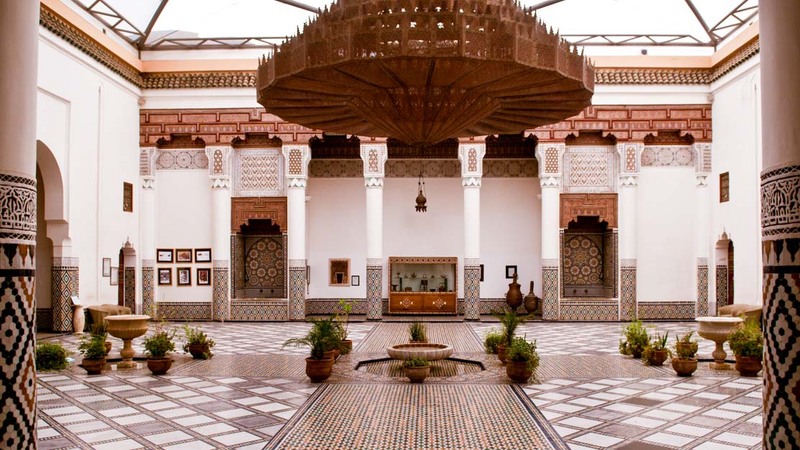 Trace the evolution of North African art in this magnificent old palace. If that tickled your fancy, head to the nearby Maison Tiskiwine for more on Saharan life through the ages. 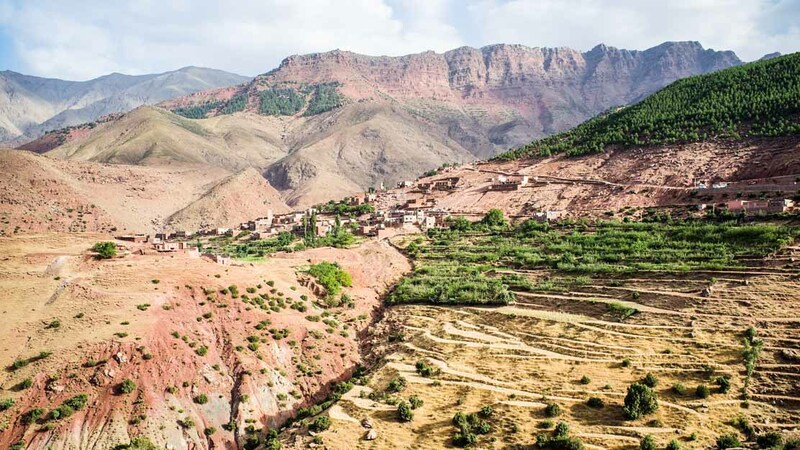 Though 57 km south of Marrakech, the home of North Africa's tallest mountain, Djebel Toubkal, is worth visiting just for the rustic village of Imlil, where most excursions start. 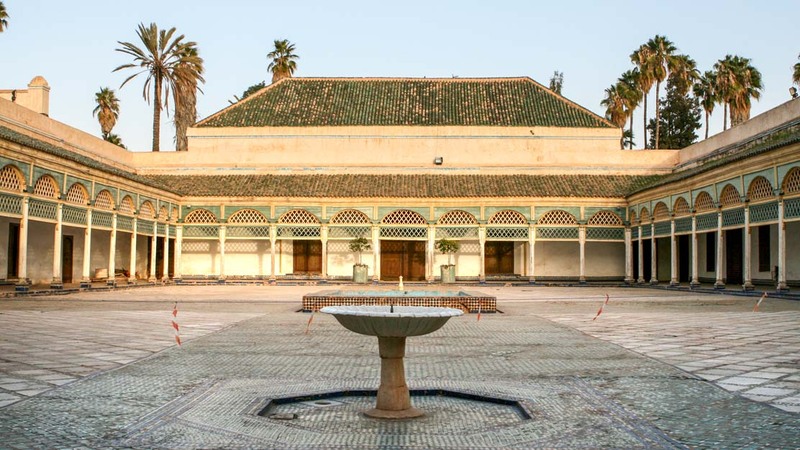 Riads – traditional Moroccan houses with private interior courtyards – are a huge part of Marrakech's appeal. Some of the best riads in Marrakech are now hotels, so it's worth shopping around for a unique place to stay. Some of the top affordable options include Riad Rbaa Laroub, Riad Edward, and one of the oldest houses in the medina, Dar Hanane. Most Moroccans are religious but tolerant. Some areas are more conservative than others, so a good rule of thumb is to observe how well-covered those around you are. For women especially, an outfit deemed to revealing might be a magnet for harassment. It's also worth checking in advance whether the places you plan to visit have a dress code, particularly at religious sites and landmarks.